This case is not just notable for its role in state and national politics. It is also notable for the smart use of technology used to provide evidence of gerrymandering that has never been used before in such cases. Historically, gerrymandering cases have been difficult to bring because they are hard to prove. This Pennsylvania case has shown that mathematical metrics and data can be used as concrete evidence of partisan gerrymandering. For example, Carnegie Mellon mathematician, Wes Pegden, developed a computer program to show that the Pennsylvania map was drawn with partisan intent. Pegden’s program began with using the current Pennsylvania map. The program then made tiny changes to the existing map to create 1 trillion slightly different maps, drawing possible districts that a court would accept (districts that are contiguous, reasonably shaped, and that have similar population sizes). Pegden then analyzed the partisan slant of each new map using a metric known as the median versus mean test. In the end, Pegden found that the 2011 Pennsylvania map involved in the case exhibited more partisan bias than 99.9% of all of the computer generated maps that he tested. In other words, he found that making even the smallest changes in any direction to the existing map would take away the partisan advantage. Until now, researchers weren’t able to find a good system that used random maps to compare to gerrymandered maps, but thanks for Pegden’s theorem, this has become possible. Pegden was not the only expert to contribute to the evidence in the case. 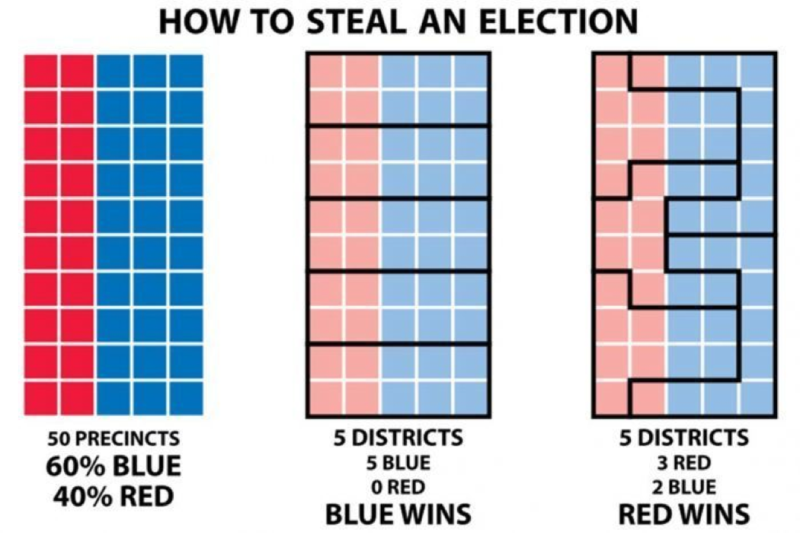 Christopher Warshaw, a political scientist at George Washington University provided mathematically derived data to show that the partisan map actually impacted representation in Pennsylvania’s Congress. Jowei Chen, a political scientist at the University of Michigan, Ann Arbor, also provided simulated data using a different statistical method that backed up Pegden’s data. Now, thanks to the experts behind the technology and data in this case, we may see more successful gerrymandering cases being brought by advocates in other states. See Turzai v. League of Women Voters, No 17A909 2018 U.S. LEXIS 1911*. See Ariane de Voque, et. al, Supreme Court Rejects Pennsylvania GOP Plea to Block New Congressional Maps, CNN (March 19, 2018, 9:25 PM), https://www.cnn.com/2018/03/19/politics/pennsylvania-congressional-voting-map-new-ruling/index.html. See Sam Levine, Pennsylvania’s Supreme Court Explains Why It Struck Down Congressional Map Favoring GOP, Hᴜꜰꜰɪɴɢᴛᴏɴ Pᴏꜱᴛ (Feb. 7, 2018, 8:47 PM), https://www.huffingtonpost.com/entry/pennsylvania-supreme-court-gerrymandering_us_5a7b8f9de4b08dfc92ffcb68. 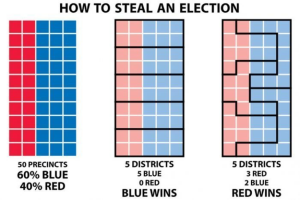 See Issie Lapowsky, The Geeks Who Put a Stop to Pennsylvania’s Partisan Gerrymandering, Wɪʀᴇᴅ (Feb. 20, 2018, 11:21 AM), https://www.wired.com/story/pennsylvania-partisan-gerrymandering-experts/. See Levine, supra note 3.